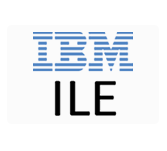 What is IBM ILE tutorial? ILE is known as an approach to programming on IBM ILE. It is an integrated enhancements to the IBM ILE machine architecture and the IBM i operating system. ILE consists of ILE RPG, ILE C, ILE COBOL, ILE CL, and VisualAge® for C++. This guide is for programmers who are familiar with the RPG programming language, but who want to learn how to use it in the ILE framework. This guide is also for programmers who want to convert programs from the RPG III to the RPG IV format. It is designed to guide you in the use of the ILE RPG compiler on IBM i. This tutorial is useful for programmers and developers who work on COBOL, C++ and other operating system. After completing this tutorial you will become expertise from beginners’ level. To learn this tutorial one must be aware of how to use applicable IBM i menus and displays, or Control Language (CL) commands. Should be familiar with the appropriate authority to the CL commands and objects and understanding of ILE will be useful.